It’s August! If your child participates in a fall sport they’ll probably begin preseason practice soon (if they haven’t already). Whether your son or daughter participates in soccer, football, cheerleading, cross-country or any other sport, he or she will be putting a lot more physical strain on their body than they probably have throughout the summer. High school athletes in particular will have grueling practices and physically intense games. Participating in sports is a great way for kids and teens to get the required amount of physical activity needed to stay healthy. But while playing sports offers a lot of benefits to all the players involved, there’s always the risk that children will sustain a sports injury by participating. Parents need to be aware of this risk, of the ways they can help their child prevent injuries from happening, and of what should be done if their child happens to happen to sustain an injury during the fall sports season. According to USA Today, more than 1.35 million youths were treated for a sports-related injury last year; strains or sprains accounted for the most common type of injury. The ankles and the head were listed as the most common areas of the body to sustain injury. However, there’s good news for parents: the majority of these sports injuries were, and are, preventable. The best way to think about injury prevention is to see it as just another thing your child needs to do to play their sport of choice. Every sport has necessary rules to follow and requires its players to use and wear specific equipment and uniforms; injury prevention should be seen as equally necessary to every sport by athletes, parents and coaches alike. Make sure your child is fitted for properly fitted footwear. If a sneaker or cleat does not fit correctly, athletes are much more likely to injure themselves. Take your child for a physical before their sports season begins. A doctor will be able to determine if your child has any pre-existing conditions that could contribute to their risk of getting injured. Encourage your child to stretch before and after any physical activity and to follow their coach’s advice on the matter. Stretching will help keep muscles loose, and coaches will be able to recommend stretches for specific sports. Most athletes will experience soreness or minor aches and pains, which are commonplace in any sport. These minor symptoms can be treated at home with stretching, rest and ice. However, if your child begins to complain or show signs of an injury that involves obvious swelling, deformity or loss of normal movement or strength you should contact a physician as soon as possible. The longer these types of injuries are left untreated the more likely they are to become serious. In some instances of injury, athletes should be taken to an emergency room. In high school athletics there will usually be a physical trainer present to help determine the severity of injuries. If your child ever takes a severe blow to the head it is crucial to check them to signs of concussion, and if your child shows any of these symptoms they need to be taken to the emergency room immediately. Athletes also should be seen immediately by a doctor if there’s a deep wound or signs of broken bones. 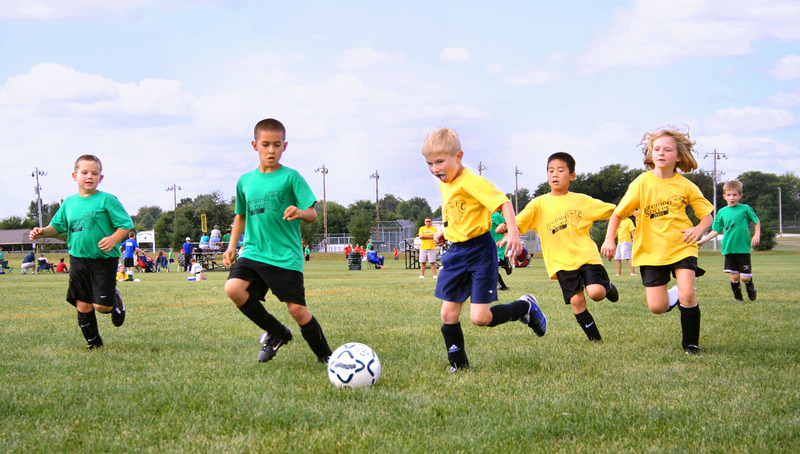 Sports are a great way for kids to interact with peers, have fun and engage in physical activity to keep them healthy. But parents need to be aware of the risks that come with playing a physically intense sport. This will allow them to help their child avoid an injury, as well as be prepared in the event an injury does occur.